I met Bassel for the first time at the 2009 Arab Bloggers Meeting in Beirut. The first time I saw him in action, he was helping a presenter by translating a technical story from English to Arabic — improvising because he was asked to help at the last minute. During a coffee break he told me about his plan to start a hacker space in Damascus. I knew he was a very special guy. After this historic conference we met a few times in Beirut and Damascus. And of course I visited his hacker space, Aikilab. No one expected the Arab uprisings to take off that soon and so fast. From the start of the revolution in March 2011 I stayed in touch with Bassel and some of his Aikilab friends. I told him about a storytelling project I wanted to do, one that would focus on a group of friends in the region. Over time, this initial idea morphed into a narrative journalism story focusing on one main character – Bassel. As it became more and more complicated to visit Damascus, we kept in touch by mail, Skype and through his posts and tweets (which were many). Bassel is a successful Internet entrepreneur. Before he was arrested, he worked for international companies, made a good living, and partied deep into the night with friends from the Syrian art and film worlds. When a BBC reporter asked him to make videos of the Syrian rebellion and smuggle them out of the country, life changed dramatically for Bassel. He directed a team of volunteers armed only with their cell phones who recorded the Syrian revolution and spread the news via social media. Bassel secretly enjoyed this resistance work. He formed friendships for life and met the woman of his dreams. But the battle toughened. Friends fled, or were arrested or killed. Remarkably, for a long time, Bassel himself went unscathed. His friends began to wonder: Who was protecting him? 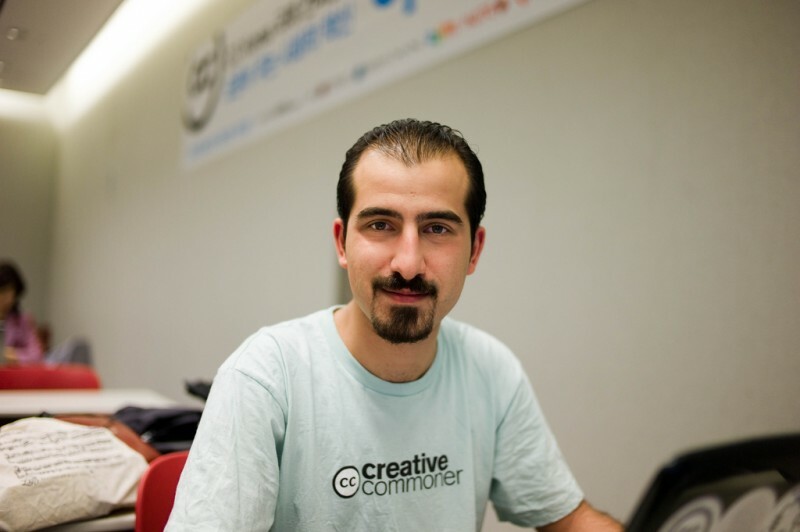 Then, on March 15, 2012—coinciding with the first anniversary of the Syrian Revolution—Bassel’s luck ran out. He was arrested and tortured. He remains imprisoned to this day. After his arrest, my research became more systematic. Bassel did some remarkable things during the first year of the revolution – I am sure the story I tell, outlined above, describes only the tip of the iceberg. Writing the story as an outsider is complicated, but also has many advantages. It is easy to ask silly questions and because I do not speak Arabic, I found myself observing and watching facial expressions, body language and other details more closely. Although some aspects of the story are inevitably missed, watching a situation from a distance helps put it in a broader and sometimes clearer perspective. I consulted family, friends and experts on the risks of publishing the story. 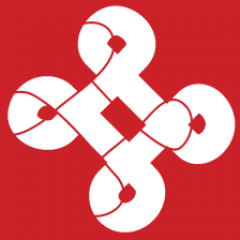 Most thought that the importance of publishing this story overrules any potential risks. This is a short story about a group of friends – young, urban and middle class – a part of Syria’s recent history. In many ways their lifestyle and dreams were similar to those of other urban youngsters, yet their lives changed dramatically during the revolution and the subsequent civil war. I think it is important to highlight the early, peaceful ideals of the revolution. I sincerely hope some light from this period will shine through the current civil war and survive the violence and destruction that is currently consuming the country. 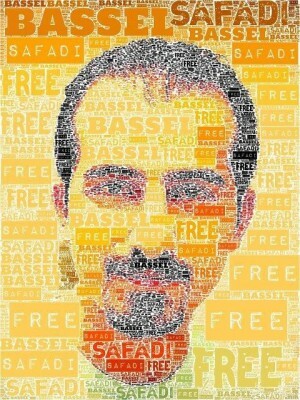 All I can do now is hope that Bassel will be a free man again very, very soon. So he can join his wife, his family and friends. And read this story on his smartphone. Monique Doppert is a writer and media advocate and project officer with Hivos. She lives in the Netherlands.